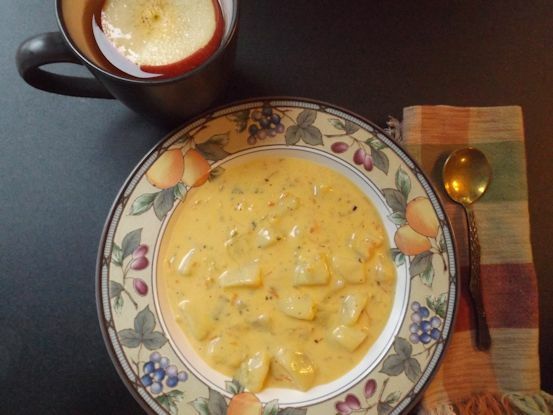 Dinner tonight was Cheesy Potato Soup. I turned it from a hamburger soup to a vegetarian soup and it was delicious. Less grease and more taste. I am curious to try that with some other hamburger recipes I have. I think I will just leave out the hamburger and have a vegetarian recipe without much fuss.